Eighteen years ago, when I was eleven years old and getting ready to start sixth grade, I remember watching the flashes of light from the news coverage of the war in Bosnia. That was before reporters were embedded with troops, and instead American nightly news showed the comet strokes of bullets and rockets through night view lenses as they soared across the sky. That was really my generation’s first experience of war (as Americans), if you can even call it an experience. Later, well into graduate school, I would read Lee Peterson’s brilliant book of poetry: Rooms and Fields. Dramatic Monologues from the War in Bosnia. “The outside/ can catch you child./ Hurry.” It wasn’t really until then that this region had a form. Since moving myself and my writing life to Hungary, I must admit that I haven’t thought much about that war, and I can’t really put my finger on why. I have been to the boarders and across them. Even the boundaries of my own ethnic heritage have been skewed. For example, it turns out that there’s a chance that my mother’s paternal family may be from what today is Serbia. Should I erase my old language? Should I answer that uniquely American question about identity with, yes, I’m Scottish and Czech and Serbian, now? Or does it count that it was Hungary at the time? What do redrawn maps have to do with ethnicity anyway? I find that these years and the divisions that are tossed through them to be perplexing, and the quest to page through the layers completely unsatisfying recently. 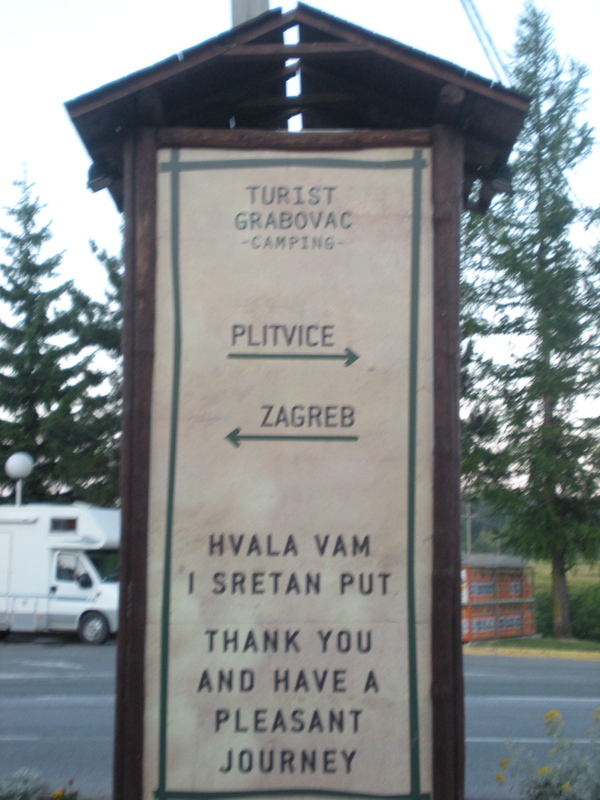 But on such weekends, in such places like Croatia, I can’t help but think of these things. This past weekend was officially the beginning of the summer season. Central Europeans spill out of their home countries and big cities en route for Croatia and its beautiful Adriatic coast. Despite the report that nearly 13,000 cars crossed the boarder, by the time that we crossed around 3pm on Friday afternoon, there was almost no one on the road. 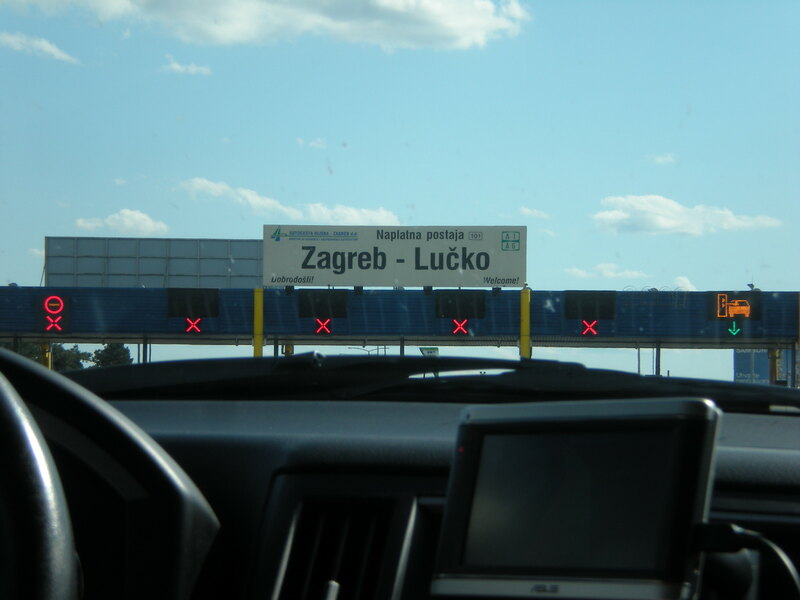 Now, remember that Croatia is not a member of the European Union, therefore the boarder crossing requires a stop, a passport check, and a quick car check, though it’s all a formality. 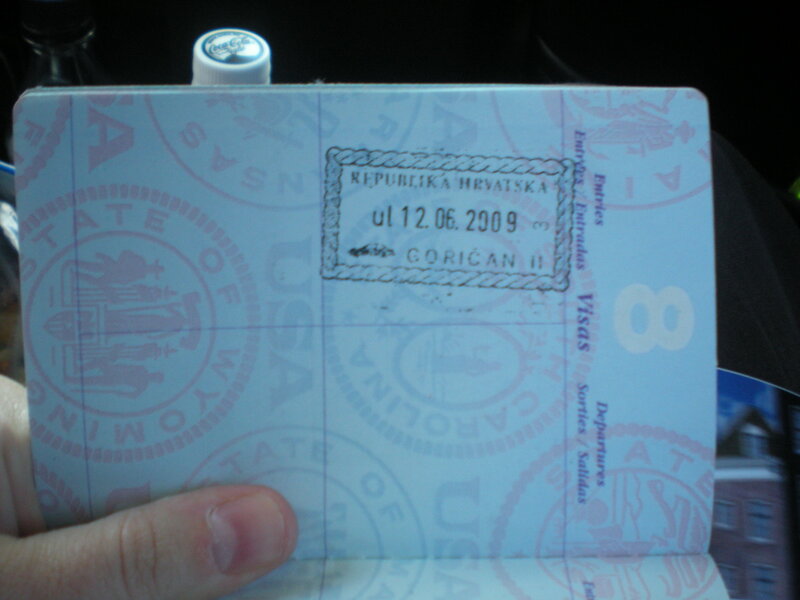 Still, I got another much desired passport stamp, something I rarely get these days since we are always traveling through the EU and passports aren’t required. 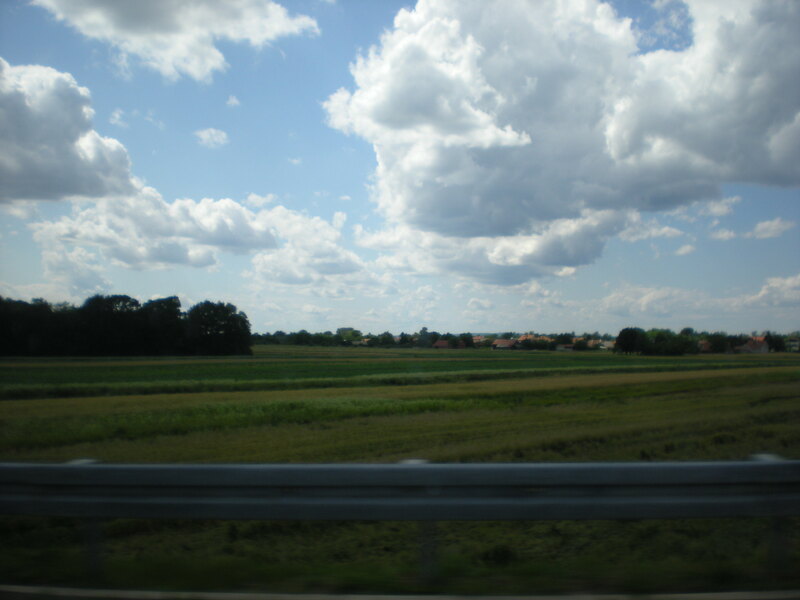 Just across the boarder, Croatia looked a lot like Hungary. Rows of endless late afternoon sunshine, rising crops, little farmhouses and fields dotted with both modern tractors and horse drawn plows. We went through a few toll booths and waited in a bit of traffic there, but otherwise the trip was quick and effortless (especially because the three of us girls were dozing on and off while Zsolt drove the whole way!) The closer that we got to our destination, the more mountainous the terrain became. Houses were carved into the hillsides and the overall scene was quaint and simple in the best way. 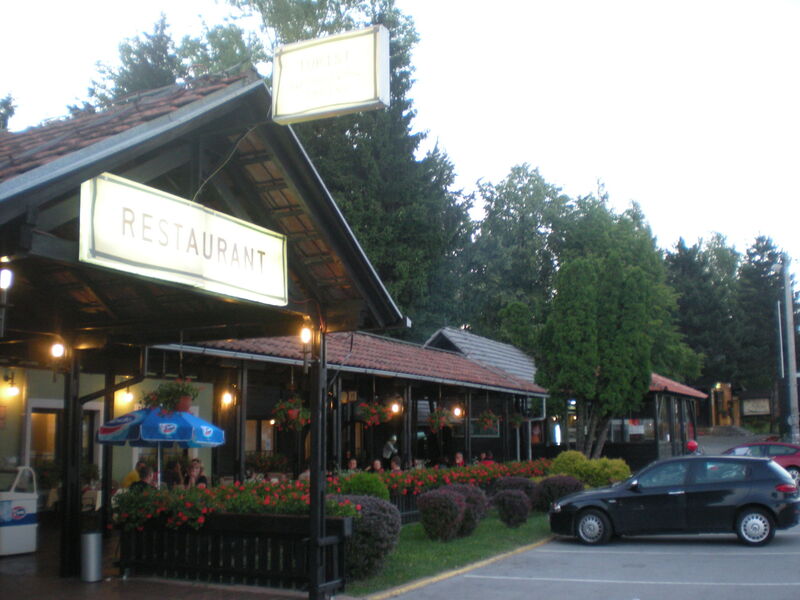 We arrived to Grabovac, the little town ten kilometers from the park and lakes, and tossed our things into our rooms in Hotel Grabovac. It was a really cute hotel. 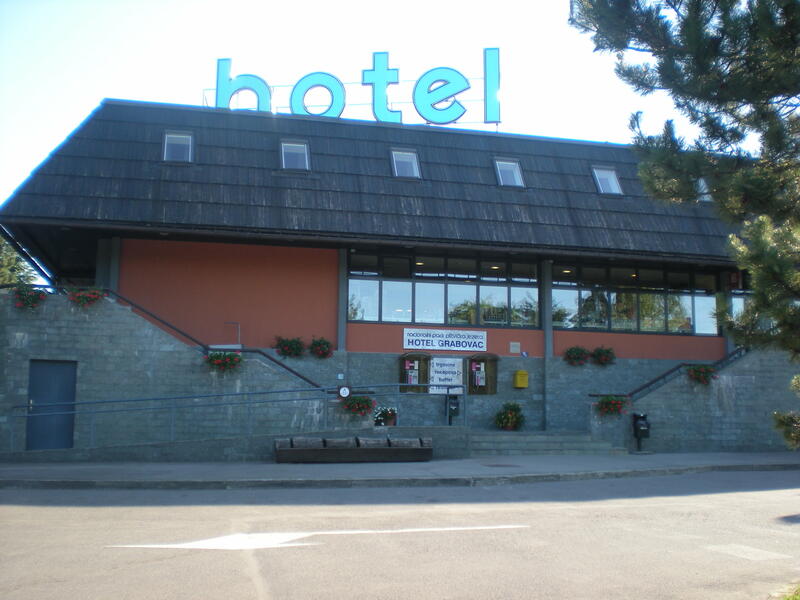 A reviewer on one of the travel sites said that he would compare it to a Motel 6, but I think that while similar in terms of amenities, there was a uniquely small European town charm-iness to the place. We received big brass keys, which we left with the receptionist (just one) when we departed the hotel for dinner or whatever and who remembered our room numbers when we returned. And there was only one floor. Also, until Saturday when we saw about six Norwegian bikers come booming into the parking lot, I don’t think there were more than ten other guests staying in the hotel the whole weekend. For dinner we walked down the street to the Turist Grabovac Restoran. 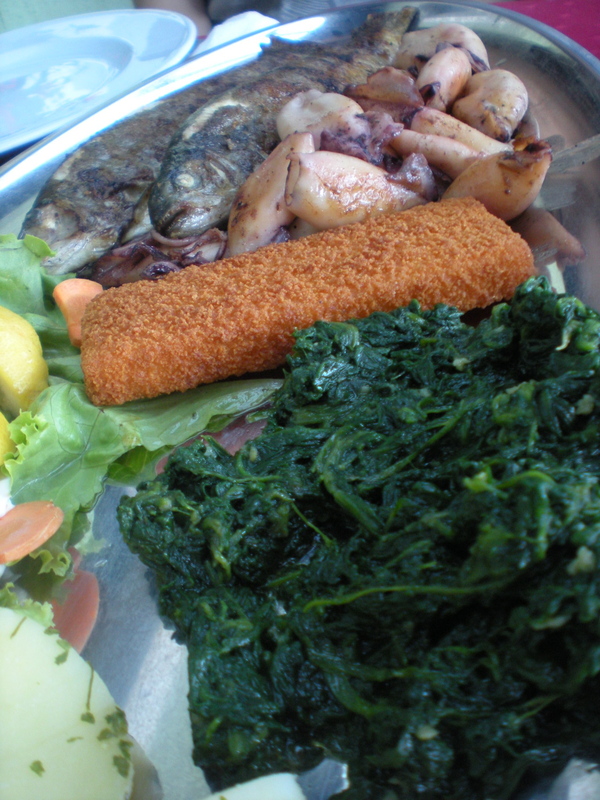 We ordered two fish plates (with whole trout, squid, a local fried fish, potatoes, swiss chard, lemon and tarter sauce) and finally settled into the peaceful weekend. The squid was really amazing. I could have eaten two buckets of them, to tell the truth, though the meat-and-potatoes Györgyi had a harder time with it. 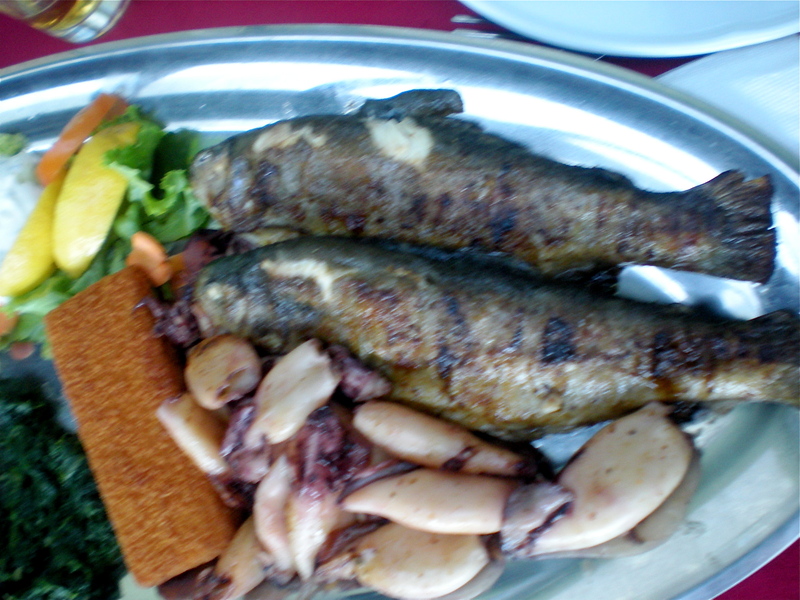 Also, I love to see a whole fish on the plate. It’s a little more honest eating, I would say, when the animal is staring at you eyeball to grilled eyeball. 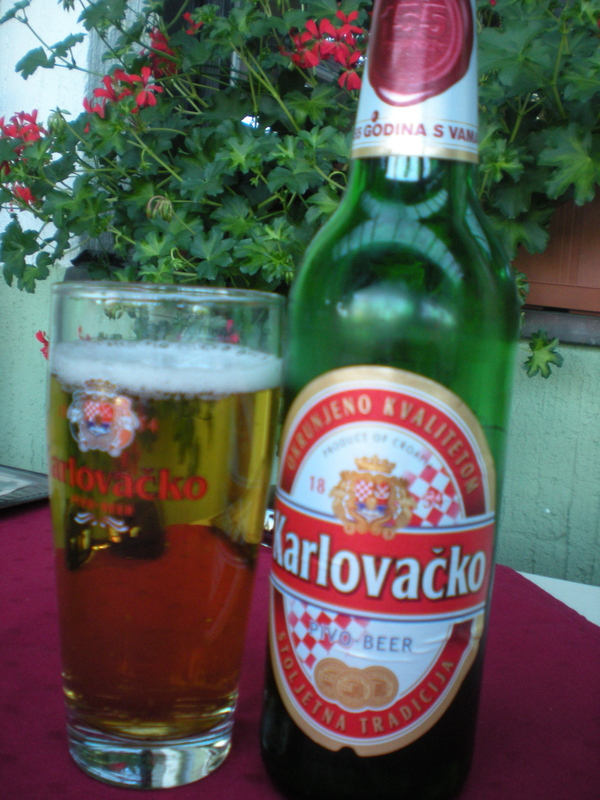 Zsolt and Szilvi sipped their Karlovačko Croatia beers as the evening and its pink sun relaxed around us and the outside tables filled with other travelers. Though because we had a long day ahead of us, Györgyi and I soon went back to our little room and fell asleep around ten with the windows upon to the green mountains in the darkening distance.